Carrying a full set of dominos is nowhere near as easy as carrying a deck of cards. That's why we thought: why not combine the two? This deck is a complete set of Dominos. That's right-not a single Ace of Spades or face card to be found. Carry it on you for an impromptu game at the airport, while waiting for a table, or break it out for your family game night. 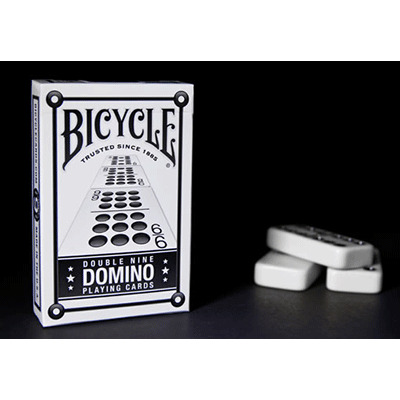 The Domino Deck is printed on quality Bicycle® card stock with air-cushion finish, and features a Bicycle® original back and unique art on the tuck. The decks are made in the USA at The United States Playing Card Company. NOTE: Cards are bridge size. No actual dominos included.